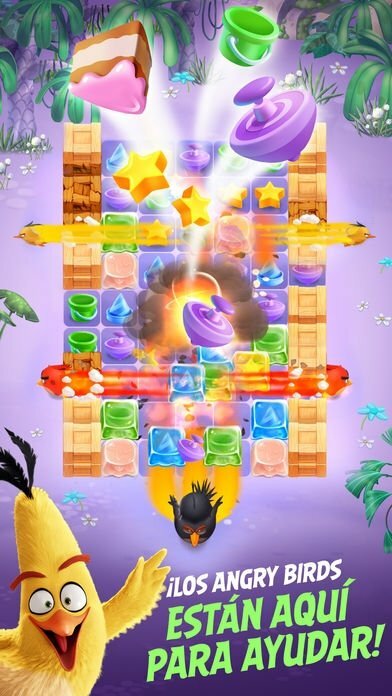 It doesn't look like the Angry Birds game saga for mobile devices is ever going to end. Ever since the first titles, those that offered us wonderful puzzles full of logic and wit in which we had to throw the birds to destroy the pigs as many ways as we could think of, to the most modern ones, we've seen all sorts of titles: racing, puzzle bobble, medieval adventures, and even games based on Star Wars. 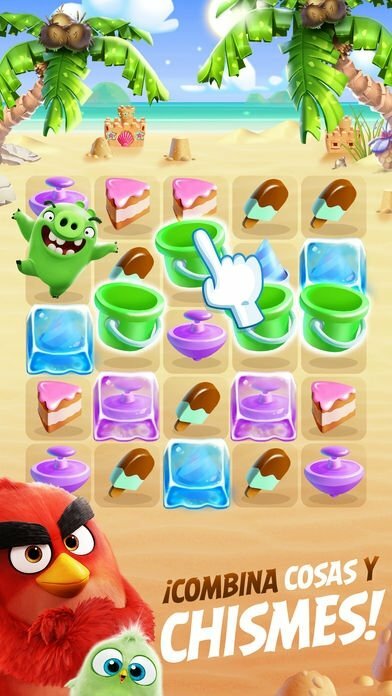 The latest one of them all is Angry Birds Match, the match 3 game you were waiting for. Well, the truth is that it goes beyond the concept of match 3 as we could define it as a match 4: our goal is to connect at least 4 identical elements on the panels to clear them and complete each one of the challenges proposed. 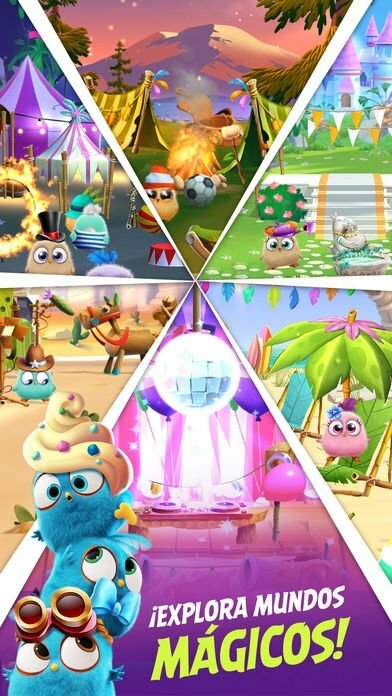 At this point, you definitely know Candy Crush and all its variants (Soda Saga and the rest of them) that are great hits on iPhone, Android, and Windows PC, so there's not much to say about the gameplay of Rovio's latest development. However, the plot still revolves around the classic storyline in which the evil pigs are up to no good and instead of stealing eggs they've kidnapped baby birds that you'll have to release throughout the hundreds of panels available. The same story all over again: rescue the birds from the clutches of the evil pigs. Discover, rescue, and collect over 50 different types of birds. Find all the birds and receive special rewards. Visit the birds in your gallery and customize them with special outfits. Over 1,000 levels at present: more are added on a regular basis. 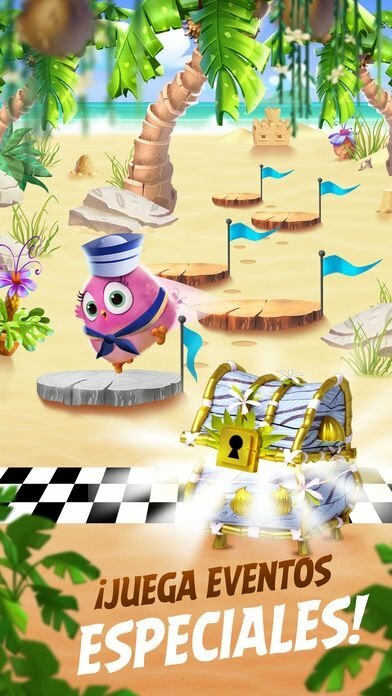 Complete the most complicated levels using special power-ups. No need to be online: you can play without an Internet connection. 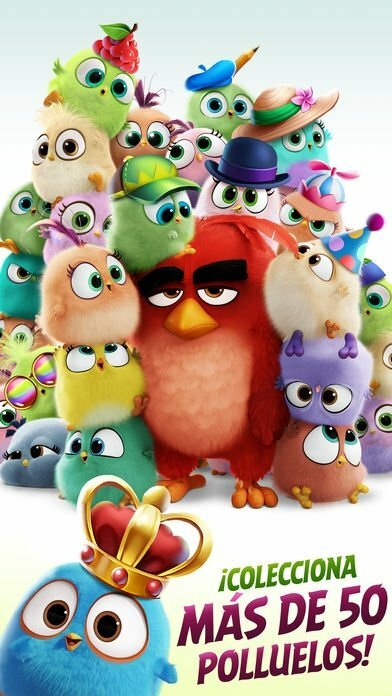 Download the latest puzzle game based on the Angry Birds universe right now and continue having fun with the most famous birds on your smartphone or tablet.